Last night an angel came to our home, via Cyrus, who said that he noticed her in his yard early in the morning. She appeared to have been attacked by something, so he tried to bandage her up as best he could. After contacting us mid-afternoon, he brought her by a few hours later. Our first thought (as concurred by our vet), was that she has been ravaged by a type of canine, i.e., a coyote or a dog possibly. 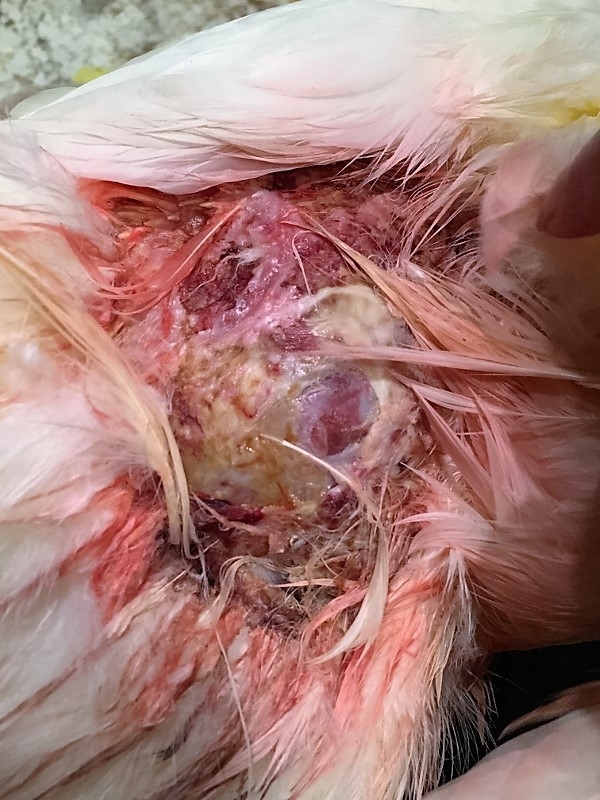 Her back was completely void of skin, and she had several puncture bites on her back and under her belly, including through the muscle of her leg. She apparently broke loose of the grip and fled to safety. Once here, she was provided with some Metacam for pain and inflammation relief. 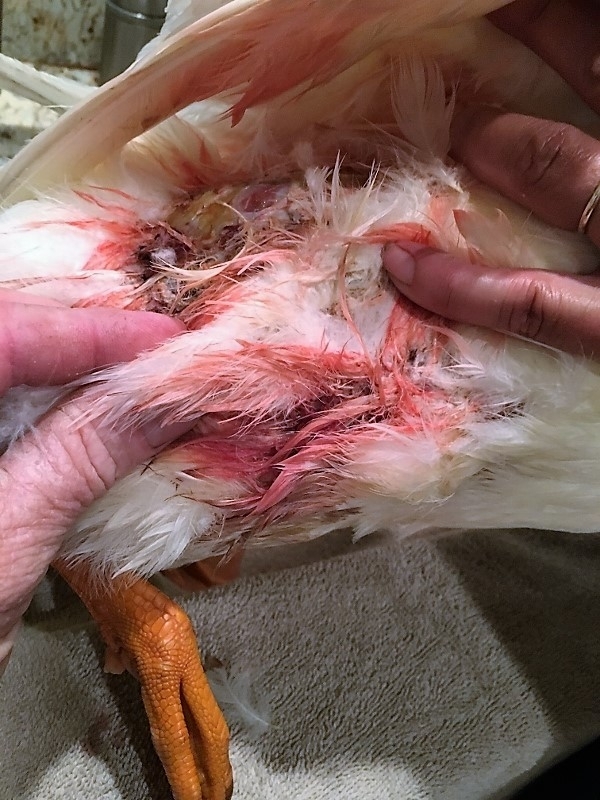 She was thoroughly flushed and cleansed with water, and given a few squirts of scarlet oil to promote healing and resist fly infestation . 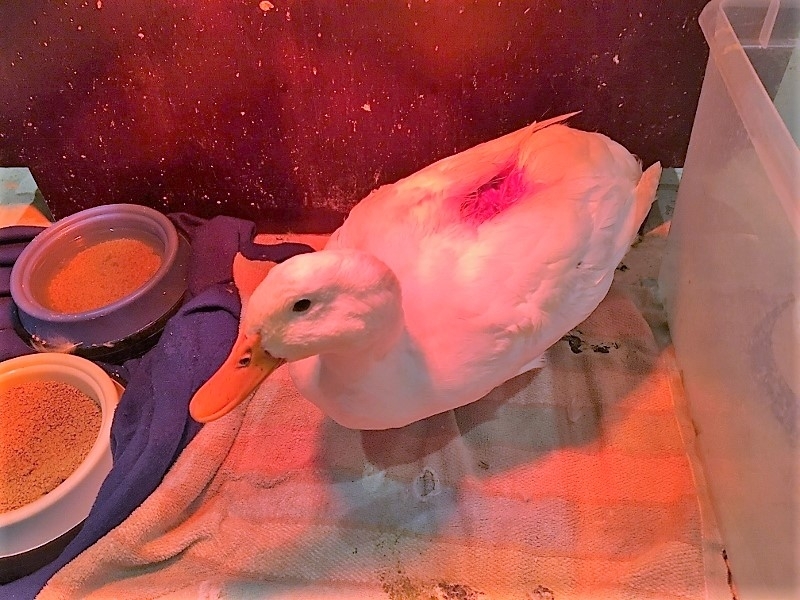 She was put under a heat lamp, with plenty of room to move, if necessary. 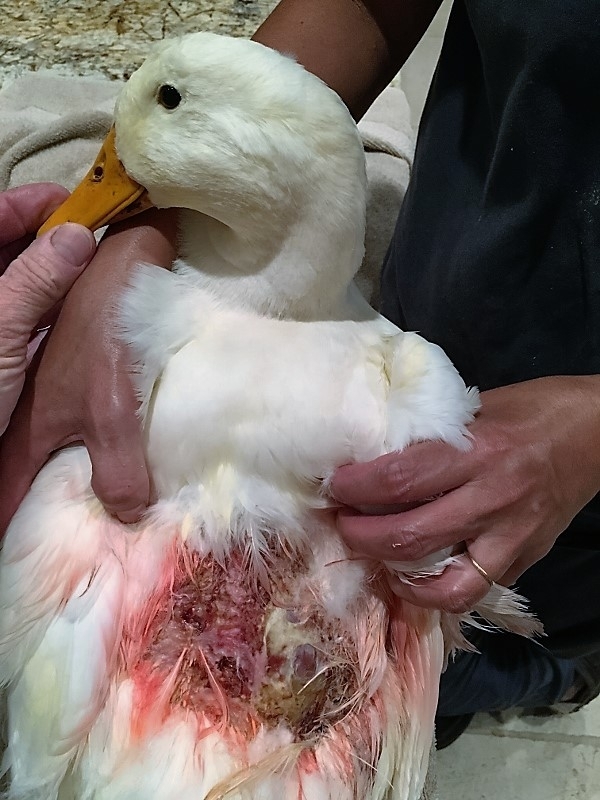 Getting a duck, or other injured animal warm, is essential for calming and regulating body temperature. She drank slightly, but only moved the food around. Never knowing what the night brings, I was happily surprised to see her standing in the morning when I went to get her ready for a visit to the vet. The poor baby looked absolutely miserable after her traumatic ordeal. Unfortunately, there was no skin for the Dr. to put back together, as it was completely removed. The good news though, is that she should make a reasonable recovery, God willing. A few prayers surely wouldn’t hurt! A little medicine, and a lot of TLC, is just what the doctor ordered. And she will get PLENTY of the latter! We named her Cypress! The poor girl. Thank god you are there to jelp this little darling! Prayers for you dear Cypress. Thanks for doing what you do. 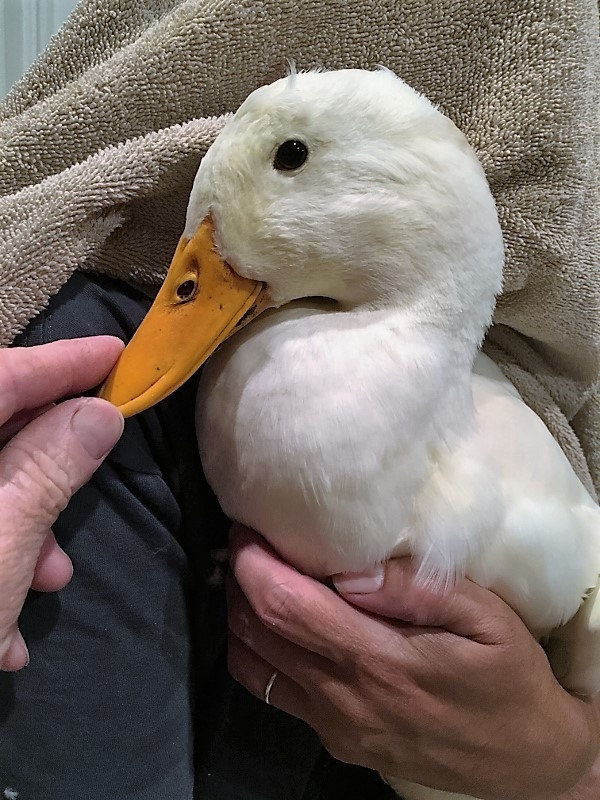 I am considering starting a small duck rescue here in Pennsylvania in the next few years. I see these kinds of things happen way too often.